This yellow and red sign features a nice illustration of a bulldog. The sign is a flange and would be mounted inside a store or at a gas station. 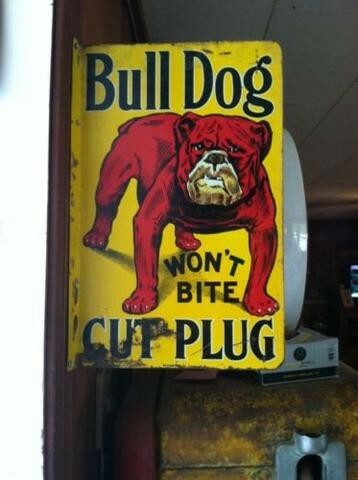 The sign reads “Bull Dog, Won’t Bite Cut Plug.” This sign is a double sided porcelain sign.